Bravo NZ host Cassidy Morris has you covered this Mother's Day with an easy and delicious recipe to make for Mum! I love this cauliflower fritter recipe because you can be super playful and add whatever you like to the mixture. Sometimes I like to swap in broccoli instead of cauliflower, or I use the fritter as a pattie in a vegetarian burger. I try my best to avoid milk and yoghurt, so coconut yoghurt is a great replacement for cream or even mayonnaise. You can also turn this into a sweeter version by adding sweet toppings to the finished dish. Whatever the meal, this is a deliciously healthy brunch, lunch or dinner recipe for Mum this coming Mother’s Day. Enjoy! 1. Chop cauliflower into small chunks. Blitz in a food processor or blender. Continually pulse to a fine consistency. 2. Add eggs, gluten-free flour, spring onion, garlic, and salt and pepper to the cauliflower. Combine well. If mixture is too wet, add some more flour. 3. Heat oil in a large pan and add a tablespoon (or your desired amount) of batter. 4. Cook fritters until they’re crispy and golden. 5. 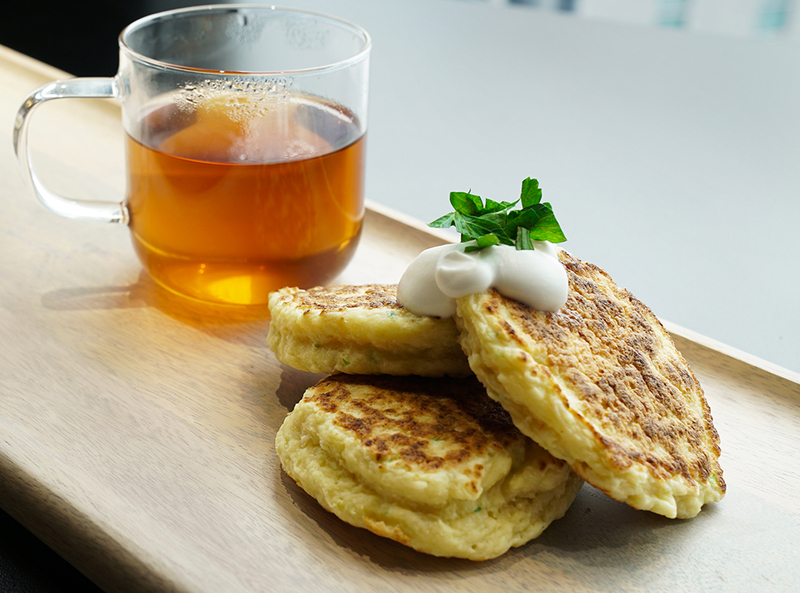 Serve fritters with avocado, Greek yoghurt, lemon juice and rocket. Remember, you can garnish with whatever you like, whether it’s coconut yoghurt for a dairy-free option or a delicious salsa.